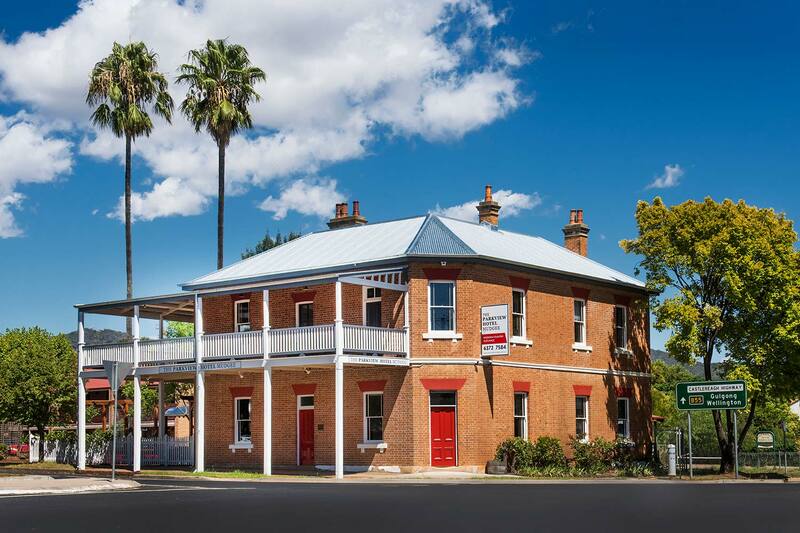 Mudgee’s Parkview Hotel is one of the area’s most distinguished heritage-listed buildings. Believed to have been built in 1870-1 as an early ‘house and land’ package, the hotel boasts historical architecture and design unachievable in modern buildings today. It now stands as a carefully repaired, renovated and conserved hotel, with the story of its unique heritage incorporated into the luxurious and contemporary branding. Delivering the true meaning of Modern Country Elegance. The Parkview Hotel allows guests a choice from seven boutique suite options. Each room, thoughtfully laid out and individually designed, offers charming characteristics unique to the warmth of the space. 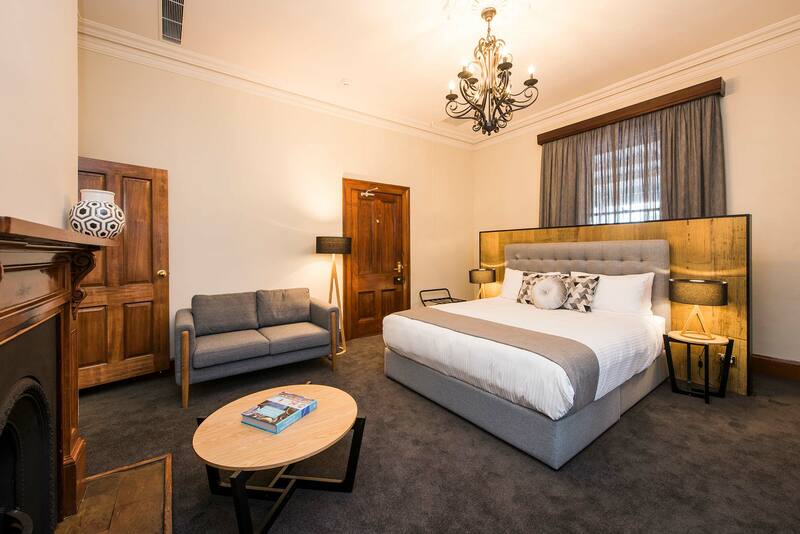 With interiors focused on high quality fittings and handmade features, this is luxury accommodation that awards a memorable experience in Mudgee. Explore the luxury options on offer with our seven beautiful suites located across two levels. Each room is unique in design, character and space; there are small and large suites available, plus a stunning apartment for larger groups. 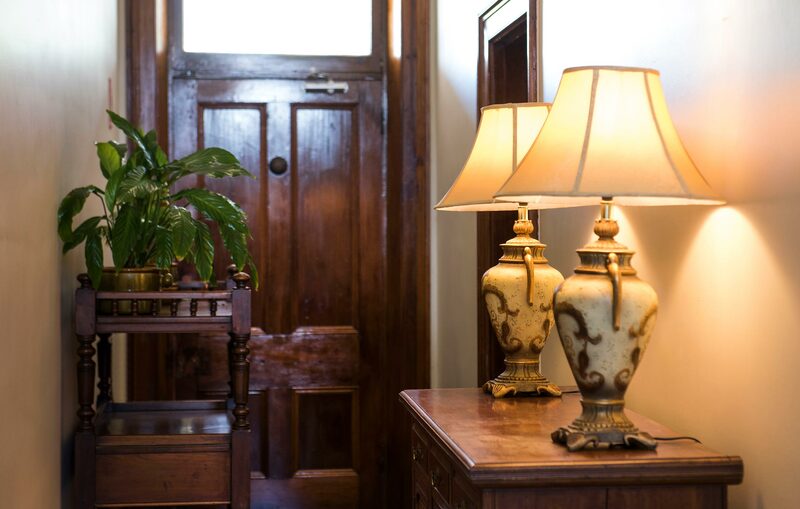 the ground floor is one of the most charming in the region. Located on the corner of Douro and Market Streets, The Parkview Hotel is just minutes’ walk from the heart of town. With Mudgee known for its high standard of food, drink and service, visitors are spoiled for choice when looking for café brunches, lazy lunches and sumptuous restaurant dinners. There are also fantastic boutique shops lining the streets with some of the region’s finest cellar doors situated on picturesque properties short distances from town. 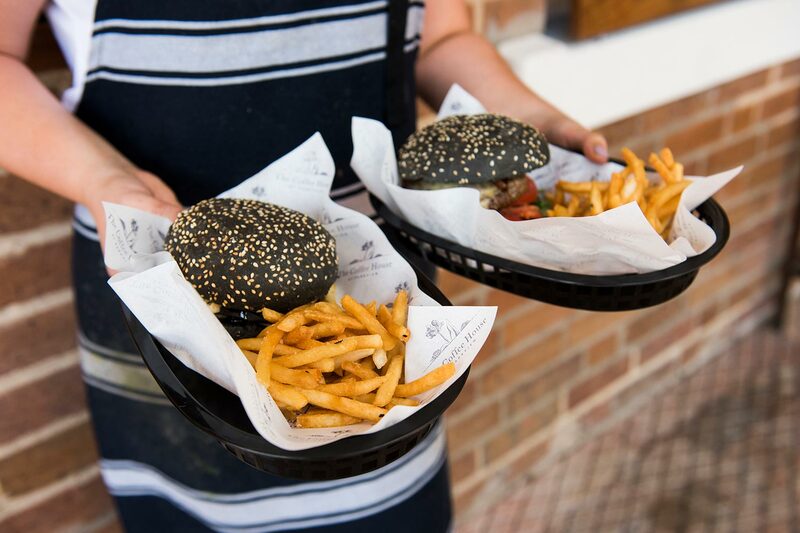 Open for breakfast and lunch, the Parkview Coffee House is a casual eatery serving tempting modern Australian cuisine. The kitchen uses a variety of cooking styles to complement the dynamic menu and daily specials, and welcomes both hotel guests and the public to dine in or take away. There is an indoor dining room catering for every season of the year, with the hotel’s garden courtyard open for alfresco dining. Mudgee is a charming rural destination where people come to ‘reset their senses’. It’s a town of cultural attractions and things to do with wineries, cellar doors, restaurants, cafes and various local events. Treat someone you care about to a luxurious stay at Parkview Hotel by purchasing a gift certificate from us. We are more than happy to post the voucher to Australian addresses. Free Wireless Internet access is available in all suites. Please ask reception staff to assist you with log-in details during your stay. When booking directly with The Parkview Hotel Mudgee website, (not Booking.com or Expedia etc) for two nights or more receive a complimentary hot breakfast made from locally-sourced ingredients, including tea & coffee. For guests enjoying just one night’s stay with us, we offer the same homely breakfast for just $20 per person, per booking. Breakfasts are cooked fresh at our Coffee House, which is located in the gardens of Parkview. Relax in your room with our Smart TVs that allow access to NetFlix using your own account details, plus YouTube. Choose our Stay and Dine Package when booking and receive an exclusive dining voucher for local eatery, Eltons Eating & Drinking. The voucher is to the value of $100, you pay just $80. Eltons Eating & Drinking is open Wednesday to Saturday for lunch and dinner. Sunday lunch only. Valid on the dates of your stay. Not redeemable for cash. Bookings essential. All our guests are welcome to order a cheese platter/s to be delivered during your stay. Orders must be received with a minimum of 24-hour’s notice. Please contact Parkview reception to organise.